International artistes- Next, 112, Jagged Edge were all live at the Chivas ‘Taste of Luxury’ event where Paul Okoye was celebrated with his friends and admirers at Fuse Lounge, 10 Saka Tinubu, Victoria Island, Lagos on Saturday December 5, 2015. Chivas Regal, the world’s luxury whisky, is known to celebrate social entrepreneurs who have contributed to the society positively as they make progress in their businesses. Paul O was celebrated because of his contribution to the entertainment industry as he is responsible for endorsements deals and management of different A-list artistes in the country that has brought them to fame. Guests from corporate and social Nigeria showed off their sky-high stilettos and penny loafers in the exclusive MADE-hosted Shoe Cam for the themed evening ‘Mules and Loafers’. Thereafter the party started and everyone danced into the night. There were tribute performances by Next, 112 and Jagged Edge. 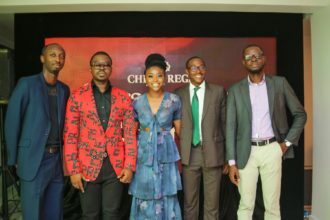 Nigerian celebrities at the event included Audu Maikori, President Chocolate City Music Group; Banky W, R&B artiste; Chidinma, past winner of MTN Project Fame; Ayo Makun; Tee-Y Mix; Toke Makinwa, Toolz, Anthonia Soares, Hauwa Mukan and others.